Once upon a time there was a mermaid who was curious about the lives of men. One day she swam too close to shore, and was trapped in a net by a fisherman. Moved by her alien beauty, the fisherman released the mermaid back into the sea. But the mermaid, entranced by the loneliness in the eyes of the fisherman, used an ancient magic to give herself legs and join the fisherman on land. He named her Amelia and together they lived a long and happy life, until the day came when the fisherman went out to sea and didn’t come back. Isolated in her small cabin on a cliffside, Amelia spends her days watching the sea and missing the fisherman. Many years pass, until another man comes into her life. A man by the name of P.T. Barnum. Christina Henry has published several revisionist fairy tales, included Lost Boy which I reviewed earlier this year. I would describe her latest novel, The Mermaid, as a re-imagining of the classic story of a mermaid who dreams of life on land. The plot of The Mermaid bares almost zero resemblance to the original Danish fairy tale, choosing instead to follow its own path to 19th century New York City. 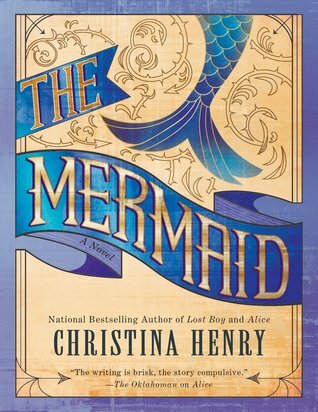 The opening of The Mermaid reads very much like a classic fairy tale, with very little dialogue and an omniscient narrator who constructs a sweet and believable love story between a mermaid and a fisherman. The rest of the novel switches to a more modern narrative with the mermaid Amelia as its heroine, a creature who is older and stranger than anyone around her realizes. Christina Henry does a wonderful job of portraying Amelia has inhuman but not inhumane. She has difficulty identifying with those around her but is filled with empathy for the everyday struggles of the people she encounters in New York. If The Mermaid is lacking anything, it’s a solid antagonist. Because Henry has grounded her story away from its Danish roots, Amelia never makes a deal with a vengeful sea witch. There is no pressing time limit for her to win her true love and remain human. The nearest thing to a villain is P.T. Barnum as the immoral collector of freaks and oddities, but even he is presented as distasteful and greedy rather than actively monstrous. So far I have enjoyed both of Christina Henry’s novels. I love the imaginative way she transports her readers to another time and place. 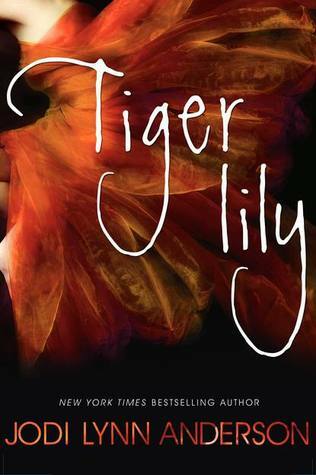 Her writing is captivating and begs to be read. I’ll keep my eyes open for her next fairy tale interpretation. You can find The Mermaid here on Amazon or here on Book Depository. As a child I was obsessed with fantasy and fairy tales. I was also completely horse-mad, as only a little girl growing up in farm country can be. The 1982 film adaptation of this book was one of my favorite movies back in the glory days of VHS. So how I managed to go thirty years without picking up a copy of Peter Beagle’s The Last Unicorn is a complete mystery to me. But I’m so very glad I finally did. The Last Unicorn is the purest form of fairy tale. Between its slim pages contain a marvelous world of decrepit old witches, terrifying monsters, heroic princes, and miserly kings. Coexisting with all these fantastical creatures are a wonderfully diverse cast of ordinary folk. It is also a classical fairy tale in that it is was not written as a children’s story. In the tradition of the Brothers Grimm, The Last Unicorn is like a rosebush, lovely on the outside but beware the thorns. The descriptions of the harpy and the Red Bull are sure to frighten small children. There is a sadness and a weight underlying Beagle’s narrative, and a happily ever after is no guarantee. I do think this would be the perfect book for parents to read to children who are old enough to handle more mature themes. 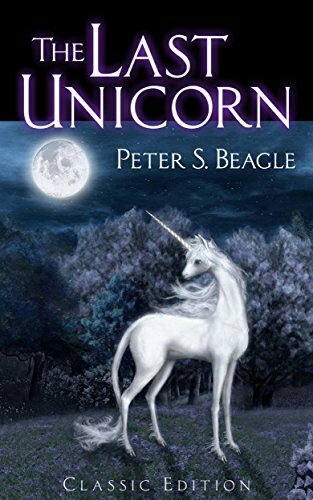 The overall plot is simple enough to understand and they will delight in the vivid descriptions of the unicorn and her companions. That’s the opening paragraph from the novel. With these few short sentences, Beagle draws his reader in and paints in their minds the portrait of a lone unicorn in a magical forest. The rest of the story continues in a similar fashion, leading the reader on a delightful journey that ends too soon. I would highly recommend this book to anyone who loves fantasy, fairy tales, or just a really beautifully written story. You can find The Last Unicorn here on Amazon or here on Book Depository.